A highlight of any visit to Port Douglas is spending a day snorkelling and diving the Great Barrier Reef. Blue Dive, the sister company of Blue Adventures, is the top rated Trip Advsior dive centre in Port Douglas. With decades of collective experience diving and guiding on the reefs near Port Douglas, the staff at Blue Dive are the most experienced and dynamic dive team in Port Douglas. Our Dive Team include Australians, British, French, Canadian and Belgian PADI instructors. 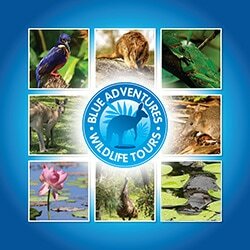 We can offer great package rates for those combining Blue Dive and Blue Adventures tours.